The Ramsey Police Department is a law enforcement agency that was founded by the Borough of Ramsey. Our mission is to assure and maintain, as much as practicable, and given all available resources, an atmosphere of safety and security for the residents of the Borough of Ramsey, as well as the entire public within our legal jurisdictions. By identifying our mission it gives the Ramsey Police Department a legitimate purpose for existence, and is the basis of our professional ethics, rules and regulations, and standard operating procedures. The mission is defined by the power established by New Jersey State Laws, the United States and New Jersey Constitutions, and the local government of the Borough of Ramsey. It is the direct responsibility of the Chief of Police to interpret public demands, and within budgetary resources, provide the best possible service for the Borough of Ramsey as well as the rest of the public. 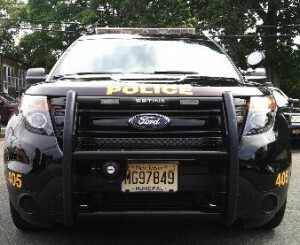 The Ramsey Police Department is prepared to deliver service and law enforcement to the Borough of Ramsey. The examples for calls for service and law enforcement include, but are not limited to: protection of life and property, preservation of the peace, crime prevention, detection and arrest of violators of state, federal and local laws, safely and expeditiously regulate and monitor traffic, maintain communications and contacts with juveniles, aid citizens in matters within the jurisdiction, take appropriate action in aiding fellow policing contacts, and provide service in non-law enforcement situations. In summary, the mission of the Ramsey Police Department is to create an atmosphere of safety and security for the Borough of Ramsey, as well as the entire public within our legal jurisdiction. We understand that the authority by which we operate, and the granted resources that are provided, are an affirmation of the public’s trust. All members of the Ramsey Police Department must be cognizant of the misuse of this trust will lead towards apathy, alienation, and eventually the loss of public confidence.